This mask has been designed with Vitamin A, Kaolin, Glycolic and Salicylic Acids to help refine and resurface the skin, helping it look smoother and more youthful. Shea Butter, Coconut and Evening Primrose Oils intensely moisturise, while Hyaluronic Acid and Vitamin E dramatically increase hydration. Apply evenly to clean skin. Leave for 10 minutes and rinse with warm water. 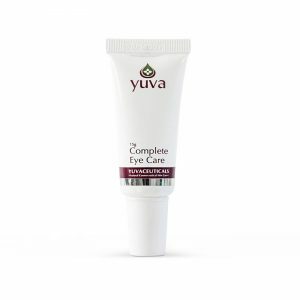 Follow with recommended Yuva serum and moisturiser.